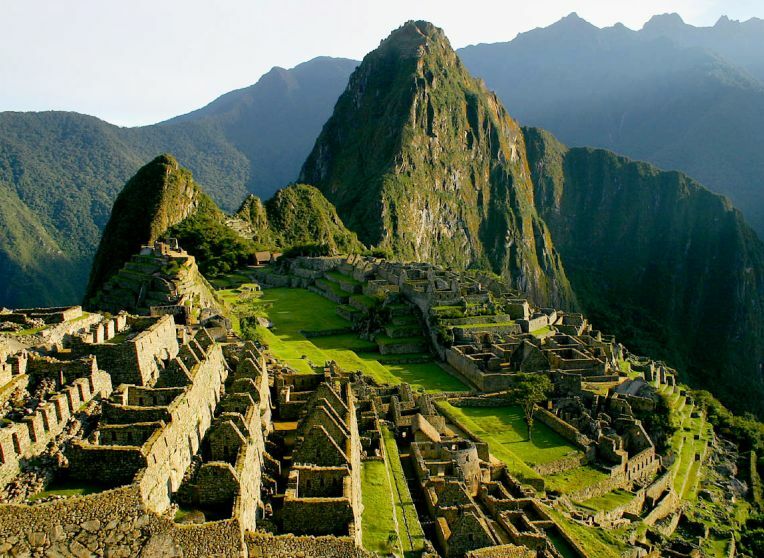 So we survived and tomorrow will arrive at the ancient ruins of Machu Picchu. This is the second scheduled event for those of you following us and having this great interactive experience from the comfort of your own easy chair. This will represent 5 days of hiking and climbing. Sleeping in tents. Eating out over a fire. No showers. We will accomplish what we have worked so hard on all these months and it will be bittersweet to see the adventure winding down. So lift a glass whilst donning your IncaTrek 2014 shirt if you have one. Get creative. Group shots, individual shots, just photo bomb us and enjoy it with us. We have so enjoyed the preparations, the discussions, the talking with all of you about our adventure and we want to enjoy the day knowing you all enjoyed it with us. We will hear the high winds carry the clink clink of your glasses across the miles into the high Andes and we will thank you all! This, like the last event post, has been pre-launched so we could remind you to get your trek on with us. We will post all we can in real time, depending on the technology available! I have read both Jon Krakauer and Anatoli Boukreev‘s books explaining the events that occurred on Mount Everest in May of 1996. 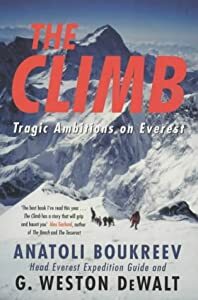 INTO THIN AIR is Krakauer’s and THE CLIMB is Boukreev’s. I must admit, some of the differences in the information are disturbing. I have always enjoyed Krakauer’s writing but given the answers provided him about his criticisms of Boukreev, and that he and his publishers got them prior to publication makes me ask why he never changes his criticisms. One of the biggest Criticisms of Boukreev is that he did not dress well on summit day. Photo evidence debunks this assertion outright yet Krakauer does not move from his statement. Pictures of Anatoli in the top state of the art climbing gear that existed in 1996 are easy to find. I truly have read most that I can find written by Krakauer. And my decision to use Mountain Madness came after reading his treatment of the 1996 event and before reading Boukreev. But I feel dismayed that Jon seems not to have been able or willing to adjust to facts that were provided to him and his answers to why, with regard to some of them, left me outright appalled. What he thinks and what he feels are far less significant than what is trye when telling this story. There are times he claims he had heard conversations that he later, after being confronted with statements disputing his presence, says that he FEELS that what he heard was more accurate than what the first hand witnesses retell. For instance. He claims to have heard a conversation between Anatoli and Scott Fisher in which Anatoli was never told to descend immediately. Yet another climber present at the time claims the questioned conversation took place after Krakauer had begun a repel down, making it impossible for him to have heard what was or was not being discussed. Whatever exactly happened on that mountain during that climb will never be completely clear. Anatoli is dead now. So is Lopsong Sherpa. Certain knowledge died with them. But the core of what is disturbing about INTO THIN AIR, is that Krakauer seems to have played fast and loose with the facts in order to hang the blame on one man….Anatoli Boukreev. And to what end? Both were on the same climb during the awful events that occurred. In my opinion, as a guide, Boukreev had a responsibility to his clients on the mountain. By all accounts he felt that way too. 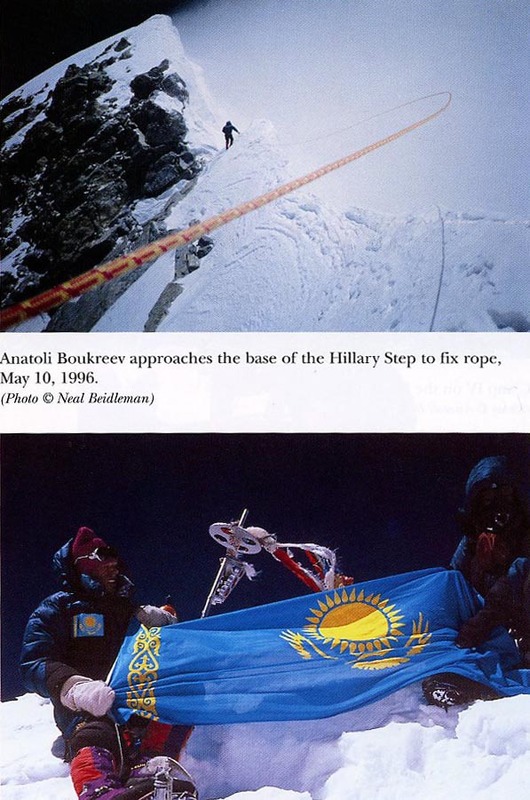 Krakauer was not a guide and had no professional responsibility to assist when Boukreev asked for help going back up to search for missing climbers. I don’t judge any non-guide’s decision not to foray out into what probably was a death sentence for themselves to assist climbers, some of whom were not well prepared to even be on that mountain. But Boukreev pulled off what truly is amazing. he got Sandy Hill-Pittman, who by most accounts was not a prudent climber, having used up more than her share of oxygen while ascending/descending among other counter productive actions that chipped away at others’ ability to get down the mountain alive. He got two other women down that were struggling and assisted a male climber in getting back to camp IV. All after his own ascent and decent and taking him out into the same storm that would kill 8 people that night. All with nobody willing or able to assist him. He made every attempt…repeated attempts…to gather helpers to no avail. He gave up his own emergency O2 supply so others could use it. In the end, Boukreev got all of the clients that Mountain Madness had taken fees from off that mountain. The only loss was company owner, Scott Fisher. The captain went down with the ship. Rob Hall was a captain too. He was the captain of the ship Krakauer was riding. But the clients of that expedition did not do near as well. Rob was high up the mountain dying. The Sherpas and guides were either in camp or themselves lost and did not attempt to go back up to get anyone. Several died. Beck Weathers was left for dead more than once, only to defy the grim reaper with his own gumption and get to where he could be taken off the mountain. Badly and permanently injured for the efforts. So what is Krakauer’s real beef here? Why soil a man’s reputation that did so much that night. Agree or disagree with his methods, they seem to have been chosen for the purpose of the clients and not to be self-serving. But no matter the evidence presented to Krakauer to show that, he persists in his outright campaign to keep Boukreev the villan. This has made me become a little skeptical of one of my all time favorite writers. His books read so well and are absolutely some of the best story telling I have ever encountered. He truly is an artist. But if he is compromising facts along the way for what motives can only be known by him, then I will find myself less willing to read his work. If the integrity of the writing is sacrificed, it becomes but an empty, hollow shell. I keep plugging along trying to get to the ultimate conditioning for this epic adventure. I make two steps forward and one step back. That is better than one step forward and two steps back, however. Tomorrow I will go to The Meetup Wall. Might even bring the harness and take a stab at a couple routes.